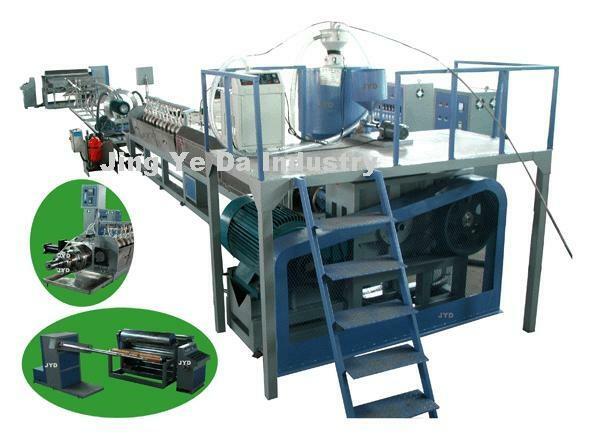 JYD150 PE Foam Sheet Extrusion Line is a medium sized model. 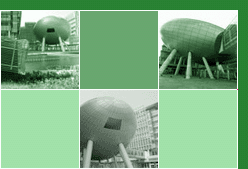 Shenzhen JYD Industry is a pioneer grade ODM specialist. We focus on. 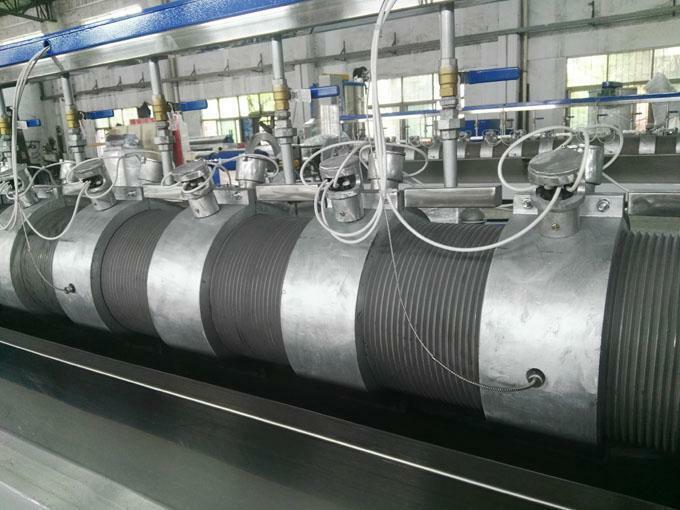 Well known and welcomed for top foaming quality: Comparatively speaking, lowest density, smaller mini cell, better elasticity and nicer appearance. * Both direct butane or LPG may be the foaming gas. 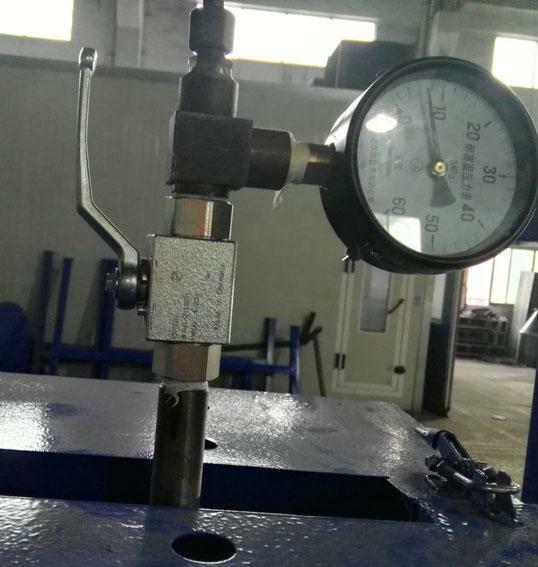 Our machine is sensitive enough for LPG foaming. * Min. density 15 kg/m3 with very good hardness. 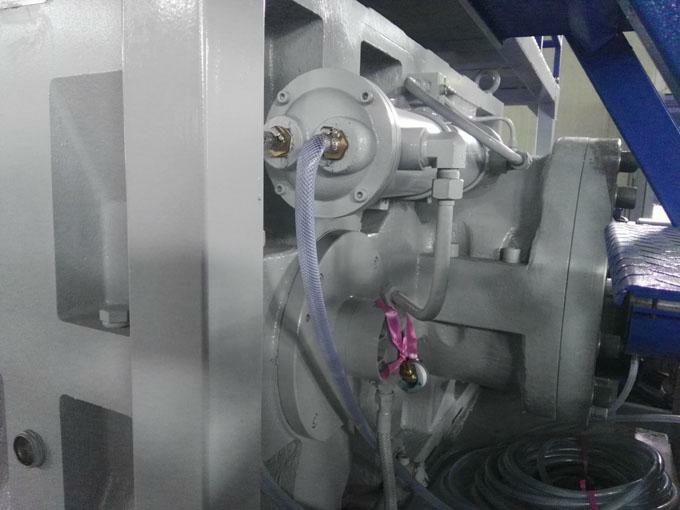 * New improvement: Hydraulic screen exchanger's both sides with heaters. Therefore screen holder's hole cleaning is much easier. 2. 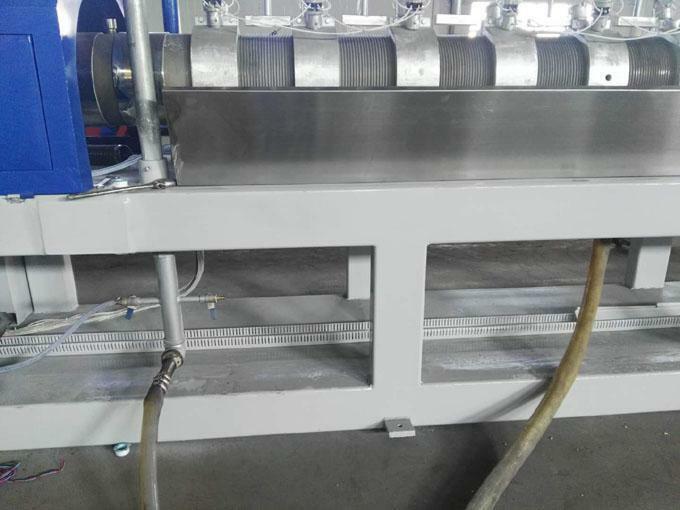 Material Mixer, 1 set. 3. Auto loader, 1 set. By Shenzhen Taiqiang, 1 set. With alarm. Decelerate AC motor: 1.5 kw, 1/43. 1 set. 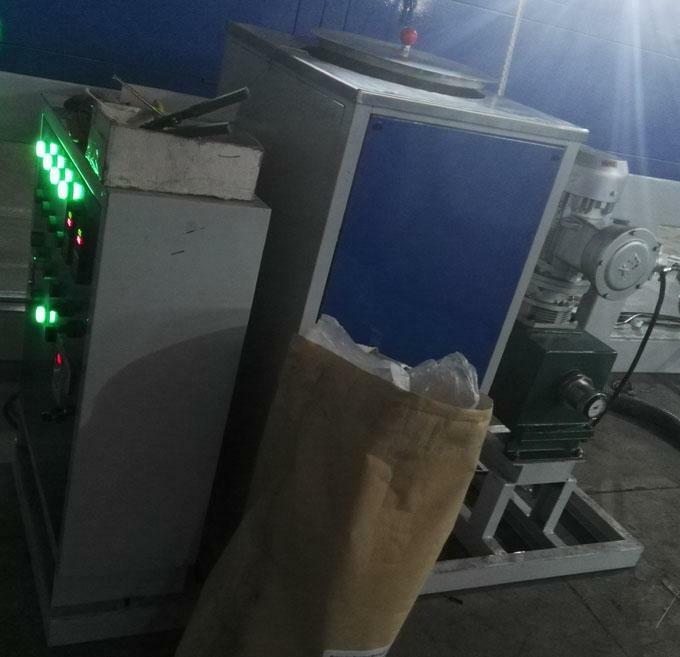 Main motor: 132 KW x4P, by Anhui Liu’an. 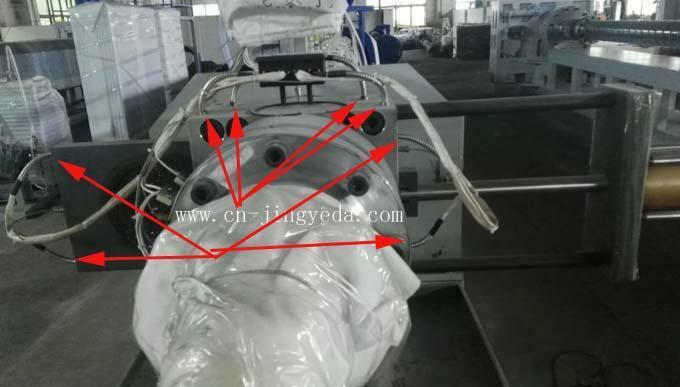 Neck unit: stainless steel plate. Barrel: ID150 x OD 230 mm. 52:1. With 18 cast alu ring heater + tap water cooling. Compress ratio: 3:1. 0-80 rpm. 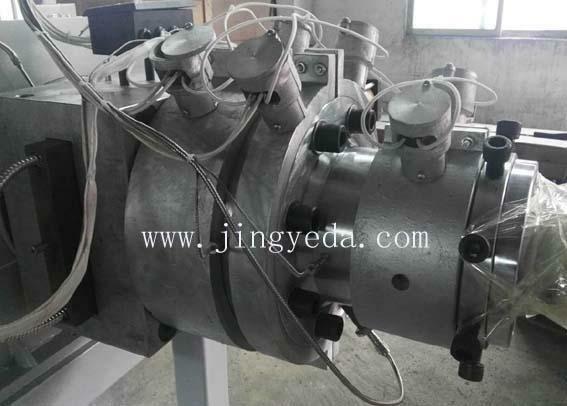 Pump type: high pressure volumetric, with 3 pistons + V. F. drive. Output qty adjustment: by piston stroke. Drive motor: 4.0 kw x 4P + V. F. drive. Mould, of 45 steel. 3 pcs. With heaters to insure easy screen plate cleaning. Transmission motor: Speed adjustable. 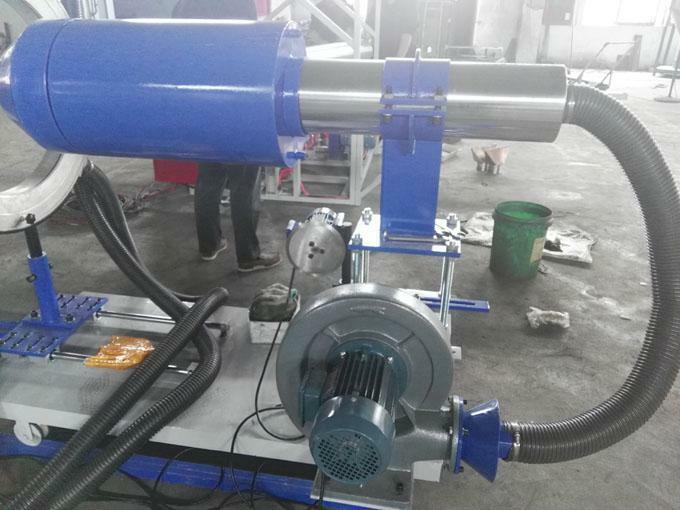 Torque motor of 100 kg/cm3 x 2 pcs. 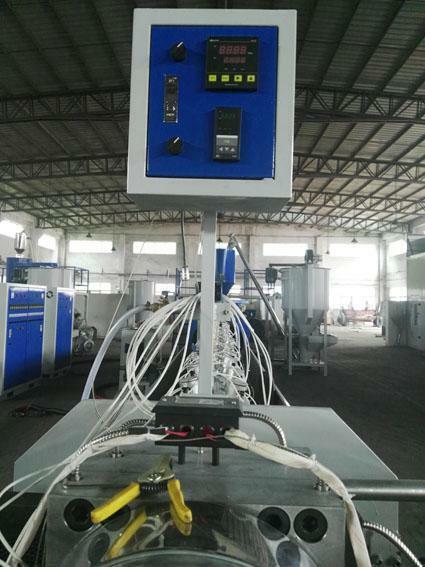 Temperature control zone: 8 for extruder and 1 for the head, PID.